Plastic enclosures and cases continue to soar in global popularity. While these accessories have been around since the old flip-top phone days - today's cases are ergonomically designed. Plastic enclosures and cases continue to soar in global popularity. While these accessories have been around since the old flip-top phone days - today's cases are ergonomically designed and feature a myriad of benefits. Whether for I-Phones, Smart Phones, PDAs, or I-Pods, a handheld plastic enclosure is the perfect way to keep your wireless and digital devices safe. They also keep out dust, dirt, grime, and other hidden particles from damaging your electronics. Best of all, they feature convenient openings and ports for USB plug-in and access. These ports, however, are also protected by small plastic casings – which can easily be opened and closed for your convenience. With a handheld plastic case, you no longer have to worry about protecting your digital and remote devices. Whether for meters, testers, and other small to medium-sized devices, these enclosures offer air tight protection and user-friendly snaps. Simply place the case over your device and fasten as instructed. These cases are so durable that they will protect your devices if dropped or fallen. This is far better than traditional leather cases, which simply do not offer optimal and hard protection across the board. Plastic enclosures are available at some computer and electronics shops. If pressed for time, you can find these water resistant cases online, or by checking Google. You can easily compare the top brands and prices, while accessing industry ratings and customer reviews. Lightweight and flexible cases for optimal mobility – perfect for everyday chores, work, and vacations. Heat, wind, and fire resistant – keeps out dust, mites, pollen, dirt, and other particles from ruining your devices. Multiple sizes available that correlate with your device size – Meters, test equipment and much more. A full range of colors available that establishes uniformity and consistency in design. 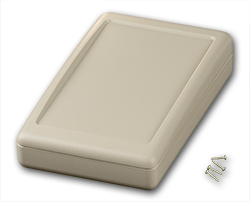 Made of durable and lasting materials – prevents devices during slips, falls, and drops. Convenient ports for direct USB and plug-in access – covered ports with cubed plastic enclosures. Available at leading computer and electronics accessories stores – online shops – eBay – Amazon – Google. Choosing the right case does not have to be hard. Simply look for a plastic enclosure that correlates and coincides with your device. This may involve trying a few products out before finding the right one!